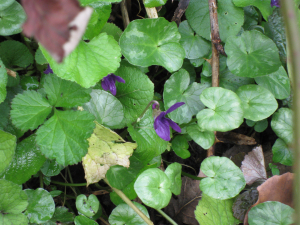 Observation - Common Dog Violet - UK and Ireland. Description: Found in hedgerow, has heart shaped leaves. Found in hedgerow, has heart shaped leaves.